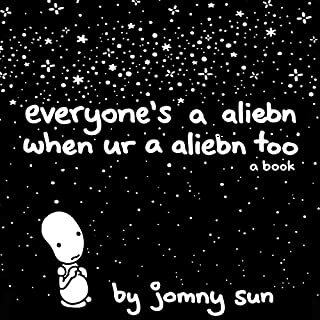 Here is the unforgettable story of Jomny, a lonely alien who, for the first time ever, finds a home on our planet after learning that earthlings can feel lonely, too. Jomny finds friendship in a bear tired of other creatures running away in fear, an egg struggling to decide what to hatch into, an owl working its way to being wise, a tree feeling stuck in one place, a tadpole coming to terms with turning into a frog, a dying ghost, a puppy unable to express itself, and many more. The Foxes are a fractured mess, but their latest disaster might be the miracle they've always needed to come together as a team. The one person standing in their way is Andrew, and the only one who can break through his personal barriers is Neil. Except Andrew doesn't give up anything for free, and Neil is terrible at trusting anyone but himself. The two don't have much time to come to terms with their situation before outside forces start tearing them apart. Riko is intent on destroying Neil's fragile new life, and the Foxes have just become collateral damage. 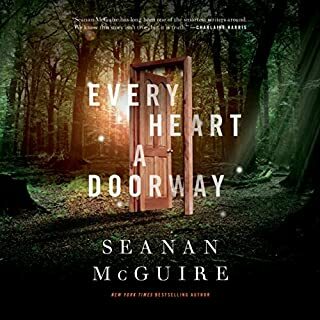 Another fantasy audiobook from Seanan McGuire's Wayward Children series, which began with the Alex, Hugo, Nebula, and Locus Award-winning, World Fantasy Award finalist Every Heart a Doorway. 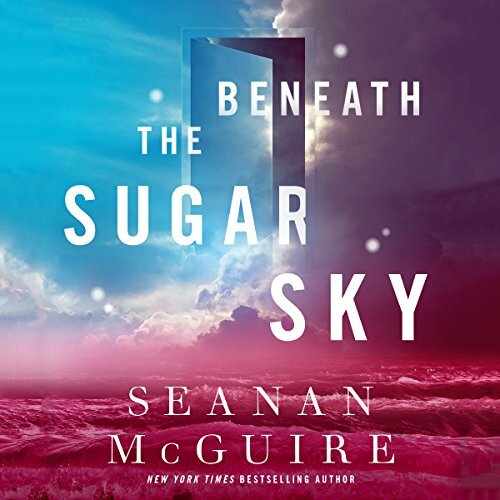 Beneath the Sugar Sky, the third audiobook in McGuire's Wayward Children series, returns listeners to Eleanor West's Home for Wayward Children in a contemporary fantasy for fans of all ages. At this magical boarding school, children who have experienced fantasy adventures are reintroduced to the "real" world. I sometimes wish these books were longer, they have such wonderful world(s)-building... but I suppose the characters wish for that too. Sumi is the student who was murdered, years before she would have given birth to her prophesied child. Awkwardly, Rini is gradually melting out of existence, as the time since her mother's failure to return to the world of Confection grows. Also, it's not just her own existence that's at stake. Sumi had defeated the Queen of Cakes and freed the world of Confection from her tyranny. With no Sumi, the tyrant queen has returned and resumed her tyranny. Rini absolutely rejects the idea that mere causality can be allowed to interfere with her mother returning and saving both her, and their world. 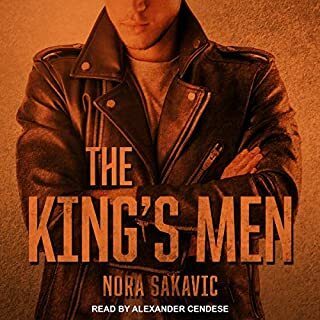 One student, Christopher, comes up with an idea, and soon Christopher, Kade, Nadya, Cora, and Rini are off on a mission, along with Sumi's bones. What follows is fascinating, bizarrely logical, moving, and surprising. Highly recommended. 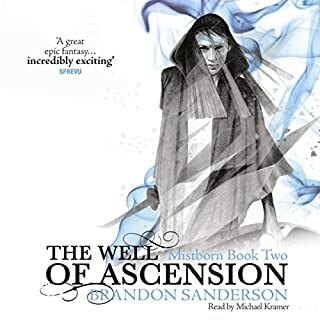 Ehhhhh I don’t think this book is as good as the previous two in the series. I liked that it was a sequel to Every Heart A Doorway, rather than a prequel, and I loved that we saw Nancy again, but the book itself didn’t fully hold my attention. 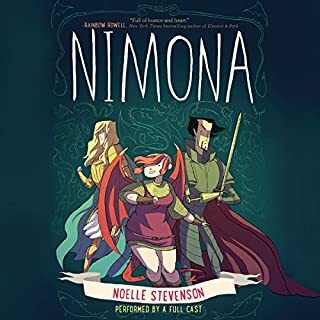 I can’t remember if we were told an age for Rini, but I thought she was around the same age as the other characters so 16-17, but the narrator made her sound like a whiny child half the time, which made taking her seriously and actually listening to the audiobook a bit of a frustration. The plot itself also felt like nonsense. Considering that they spent half of the time in a nonsense world, that’s probably the point, but it just felt lacking in general. And a bit preachy. But it's a decent story when it doesn't get bogged down in telling you what to think. Several of the students of the Home for Wayward Children go on a quest to save Sumi, who died in book one. And that's about it. There's some nice world-building - they get to visit Nancy's world and learn a little about that, plus they learn more about Christopher's world of bone people. We get two new characters from water worlds, but don't ever really learn much about them, despite one being a main character. Character development is weak overall - the author falls into the habit of telling rather than showing, and that's especially true for the mc, Cora. We're told ad nauseam that she's fat and has been harassed for it, but really nothing else about her, which is basically the opposite of how the character, or any fat person, wants to be seen. So kind of a well meaning fail in that regard, and readers with body image issues should know to brace yourself. But the story did move right along and the world-building is really wonderful. 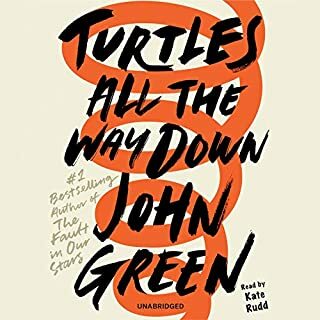 It's a bit overpriced for the length, a bit flat on the characters, and preachy, but enjoyable, so a solid three stars. The first book in the series Every Heart a Doorway was exceptional. The story was magical and engaging. The reader, Cynthia Hopkins, had the perfect voice for this story. 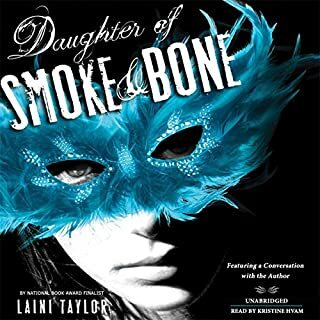 The second book Down Among the Sticks and Bones was another fantastic story, but unfortunately the reader was the author, Seanan McGuire, and that took away some of the loveliness of the story. I did not like her voice at all. The third book Beneath the Sugar Sky was a boring heap of teen drama. It almost seemed like another person wrote this book entirely. The words and language were so dull compared to the first story. This reader, Michelle Dockery, was at most "meh". 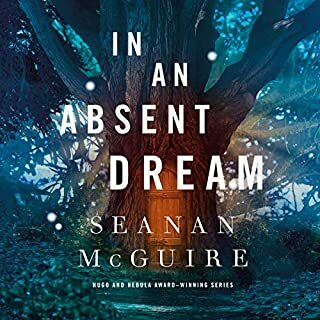 Book number 4, In an Absent Dream, was outstanding and was read by Cynthia Hopkins. 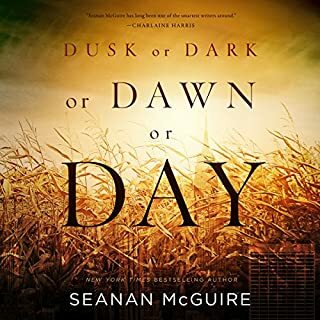 Seanan McGuire does it again! She builds worlds that we all want to fall into, even as adults we long to find a door into a world that is perfectly created and suited for us. I can’t ask for more in a story. Dockrey’s narration is good for most parts but she makes Cora and Rini’s voices too whiny and that subconsciously downplays their character development, which is unfortunate. Cora’s supposed to be this book’s hero’s insecurities many girls have growing up, but the way she speaks is whiny bordering on complaining constantly. Rini’s supposed to be older than everyone else in the traveling group, but she sounds like a 7-year-old. If you can get past that, this was a great listen and a fun ride! 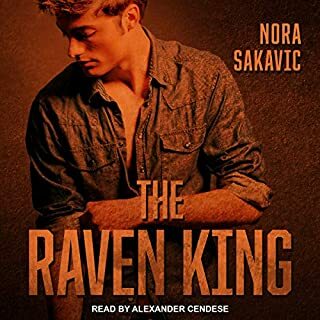 I liked this book a lot less than I liked the previous two, but I ate up all three in a day, so it was still very easy and pleasant to read - I just left there was less intrigue and mystery. 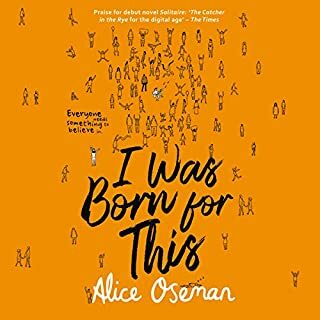 The author of this book is very inclusive (trans character, disabled character, Mexican-american character, fat girl), and careful and loving towards her representation of those issues, which I appreciate. I would have loved this series when I was younger and I still appreciate it now. The reader is awesome. 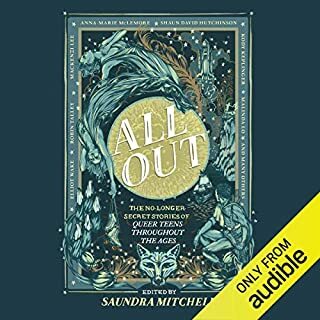 Seanan McGuire has a knack for making me cry and smile at the same time. This book is no exception. Michelle Dockrey does an amazing job reading, which comes as no surprise to anyone who has heard Michelle read before. The books in this series just keep getting better and better! I relisten to them often. Wonderful fairy tale with a modern touch. Wonderful fairy tale with a modern touch. Characters are well defined, and enhanced by the voice talent.